villa con 4 camere in affitto per le vacanze a Lloret De Mar (Els Pinars). Controlla tutti i dettagli, le foto e le recensioni dell'immobile n° 41850. Villa with private pool, air conditioning, wifi, 9px. Reformed in 2017. House renovated in 2017. 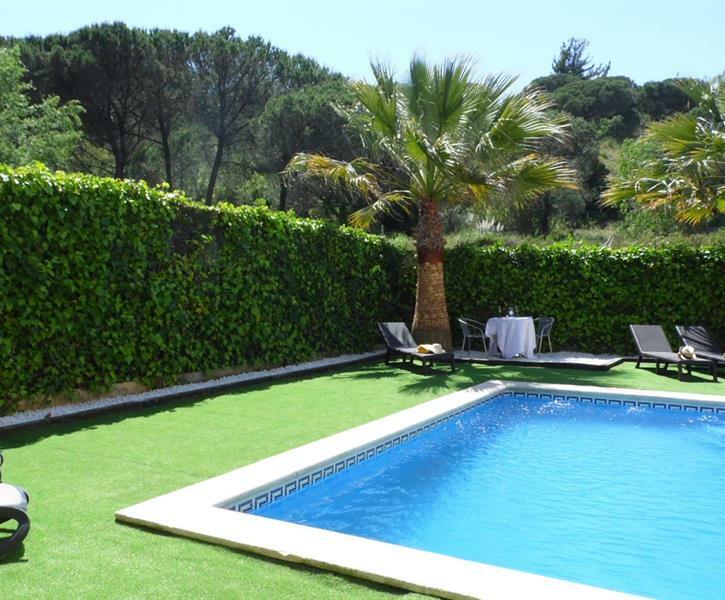 Fantastic house with 4 rooms in full nature and a few minutes from the beach and the center of LLoret de Mar. It has a large parking area inside the house, a nice pool with lawn and garden and a large barbecue . It has air conditioning and all on one floor ..... located in a quiet urbanization and a few minutes from the beach and the center of LLoret de Mar.